Hi Everyone, I'm finally getting to play a little with my Simon Says Stamps March Card Kit! I really haven't had too much time to create with these kits since I've started getting them in December. I do look forward to getting them though, who doesn't like to get some awesome goodies!! 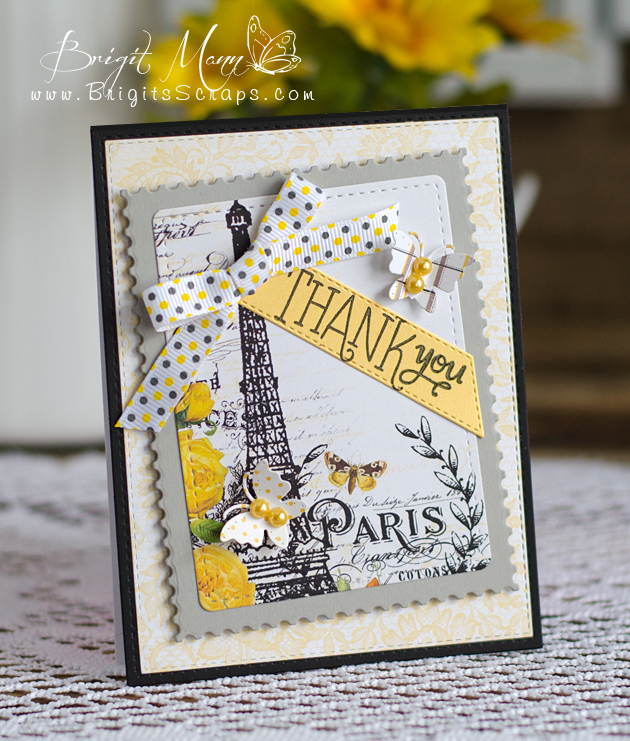 This kit has one of my favorite color combinations, grey, yellow and black, totally love!! The pattern paper and journaling card are from Authentique "Classique Beauty, it's a gorgeous collection! Solid paper is SSS and is also from the kit. Wow! Gorgeous card! Love the colors!